Sized Preemie to 22 lbs. A flat raglan sleeve pattern w/3 variations. 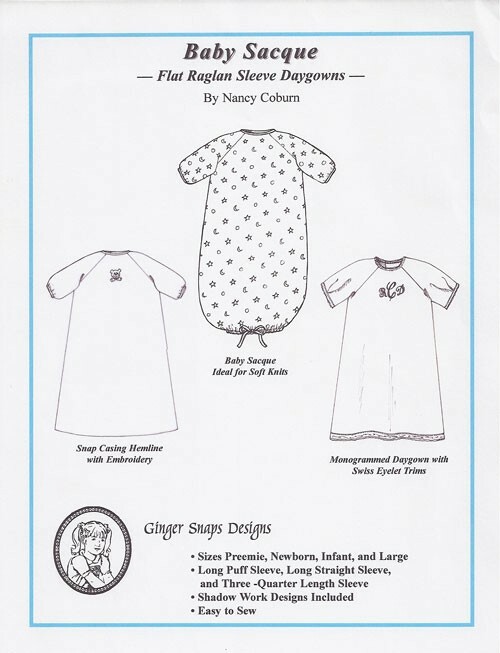 Traditional sacque pattern is ideal for soft knits, drawstring hemline, snap casing hemline, monogrammed design, back closing w/placket or buttons. 3 sleeve variations. Includes shadow work designs.